My name is Garrett O'Hara and I'm in 7th grade. The main message of my poster is to help the homeless and that anything helps. 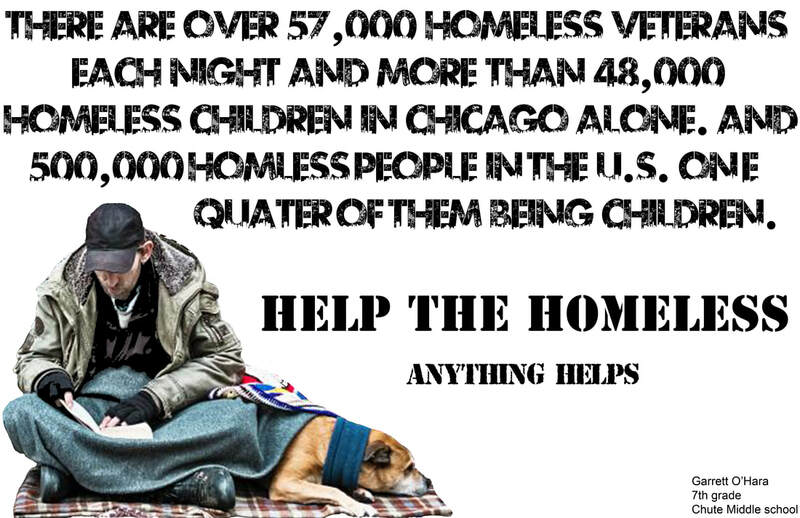 I chose a font called urban jungle because it looked like a city and most if not all homeless people are in the city I also talked about how there are a lot of homeless children in Chicago and the U.S. to touch anyone that sees my poster. My poster didn't change a lot from its first version but I did change my image a lot from its first version by just showing the homeless man and not the distracting background. I feel like the most successful part of my poster is the image I used because it took a long time to change and turned out very well. 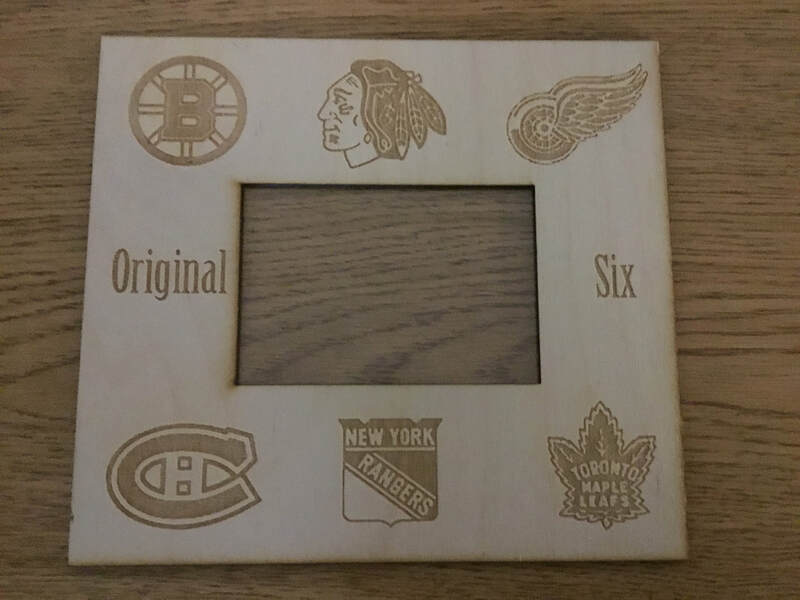 I started with the idea to do a music themed frame but I changed my mind to do a hockey themed frame because I've been playing hockey my entire life literally so I did the Original Six the first six hockey teams to play in the NHL. 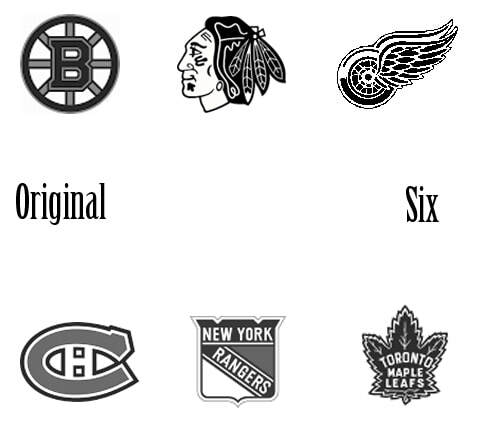 So then I found all the teams logos dropped them in the outline and turned them black and white. 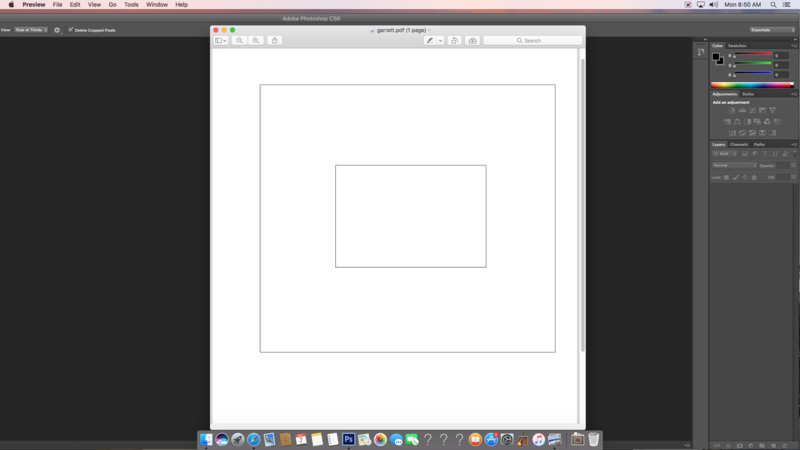 Then I had to make a new frame for the images so I went into Adobe Illustrator and created one that would fit my images. 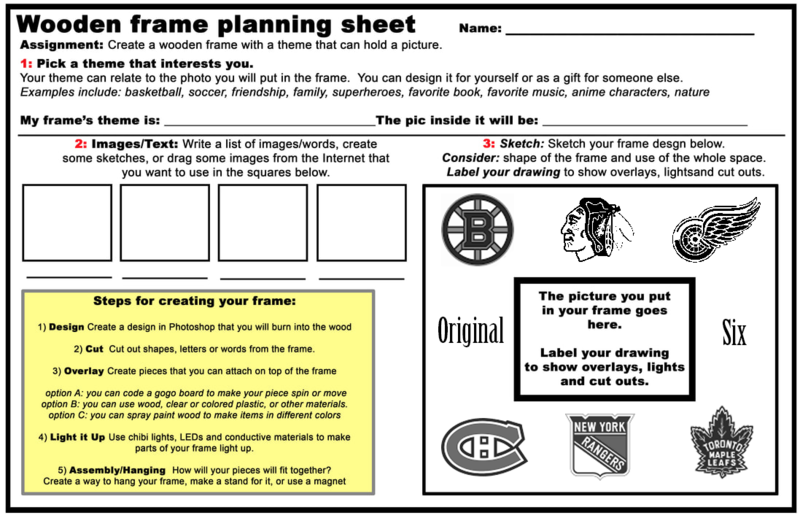 after I made that frame I went to a website called 10.3.4.18 which is the program that you put your image into so the laser can cut it then I put my image and the frame in the program and cut it. As you can see the Blackhawks and the Red Wings logos did not turn out so well so I grabbed the file and started to edit it so it would look better. But every other logo turned out very well. This was the new image for my new frame I grabbed a black and white Blackhawks logo to make it easier since I tried to hand edit it which was very tedious then I put it in the program and cut it. The recut turned out very well as you can see all the logos are a lot more detailed I am really happy with the way it turned out. 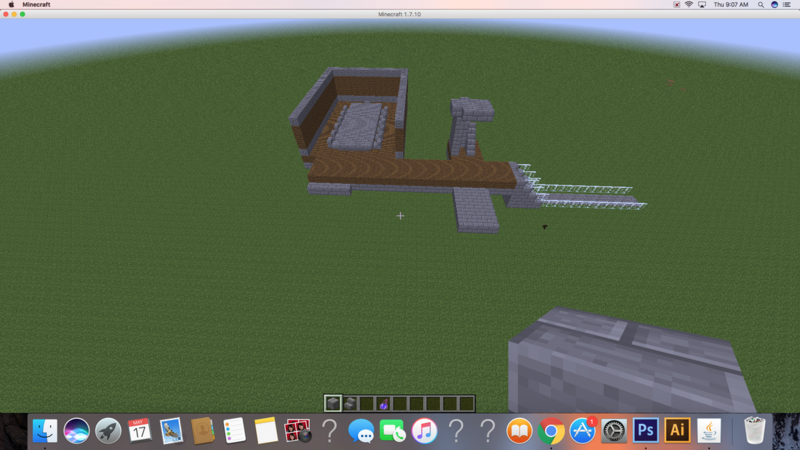 I started by building a pathway to the house and the start of the first room (dining room) and part of the hallway. 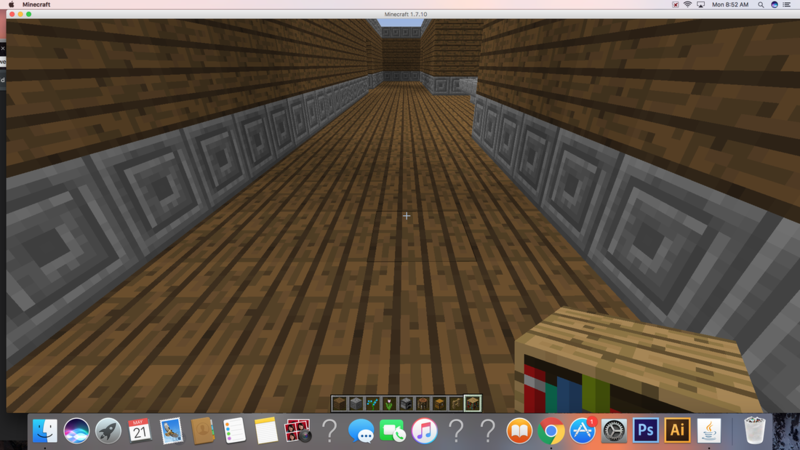 Then I built the start of the rest of the rooms the walls and the hallway. Then I furnished the living room with bookshelves flowers and some couches. 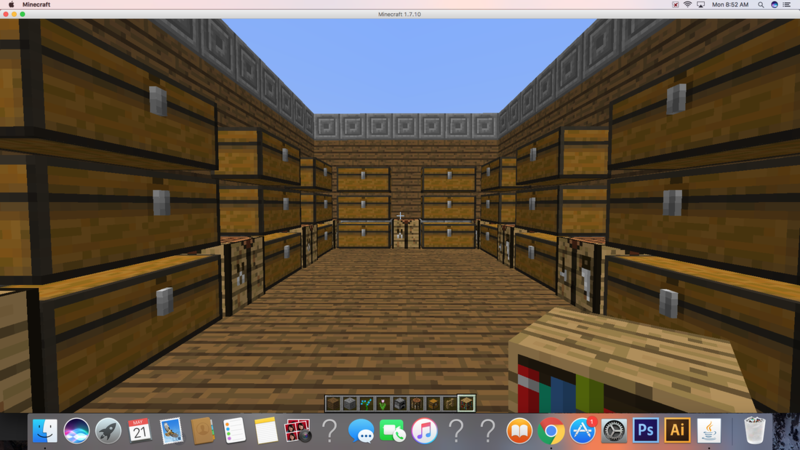 Then I built the next room on the first floor the storage room/crafting room and furnished it with crafting tables and chests. 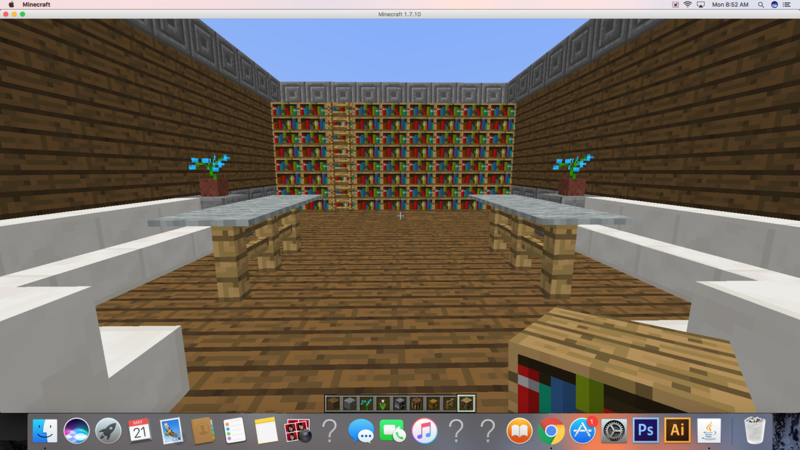 Then I started to build a second floor and put lights in the house.